Unicel`s wide range of communications services are designed to be simple to use and easy on the wallet. Our cloud communications platform ensures that your business is able to leverage whatever services it needs, how you want and when you want, with minimal hassle and cost. 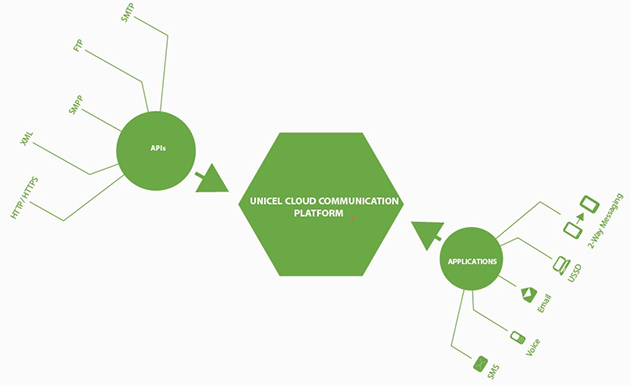 We offer a wide range of API options so you can directly integrate communications services into your applications. We have also built numerous communications applications, leveraging years of experience servicing enterprise requirements, so that many of your needs can be serviced ‘out-of-the-box’, with zero development effort.